The Best Selling Computer Game Of The 1990s Was? Just Like Many Western Buildings Have No Formal 13th Floor, Many Chinese Buildings Have No? 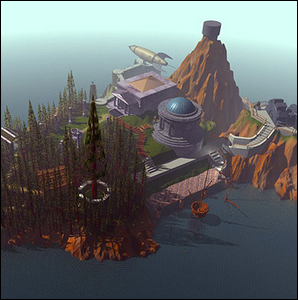 If you played a single computer game at any time during the 1990s, there was a good chance it was the runaway best seller Myst. Released in 1993, the adventure puzzle game puts you in the role of the Stranger, an unseen protagonist who is sucked into the mysterious world of Myst via a magical book. Once in the world of Myst, the Stranger must slowly unwrap the puzzles found throughout the island and the “ages” the other magical books link the island to. The slow pace of the game and the lack of any intense action (the game has no real-time fighting or movement, the player essentially moved through a giant slideshow with sparse 3D animations and video) didn’t put players off at all; in fact, the game was a surprise hit that sold so briskly after its 1993 release that it went on to become the best selling computer game of the 1990s. It even held onto the best seller title into the new millennium and remained at the top of the sales charts until it was unseated by The Sims in 2002. Image courtesy of Cyan, Inc.